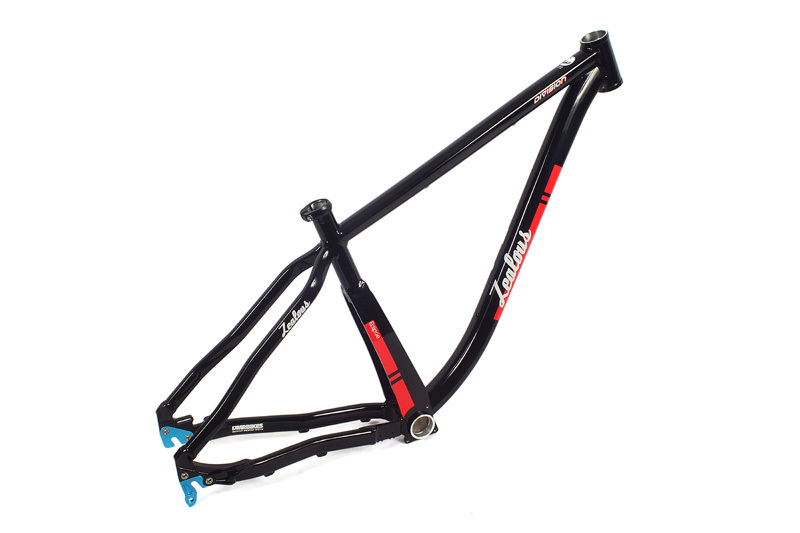 Division MKI ‘Classic’ Frame – Zealous Bike Co.
Division MK1 Now Only £249.99! 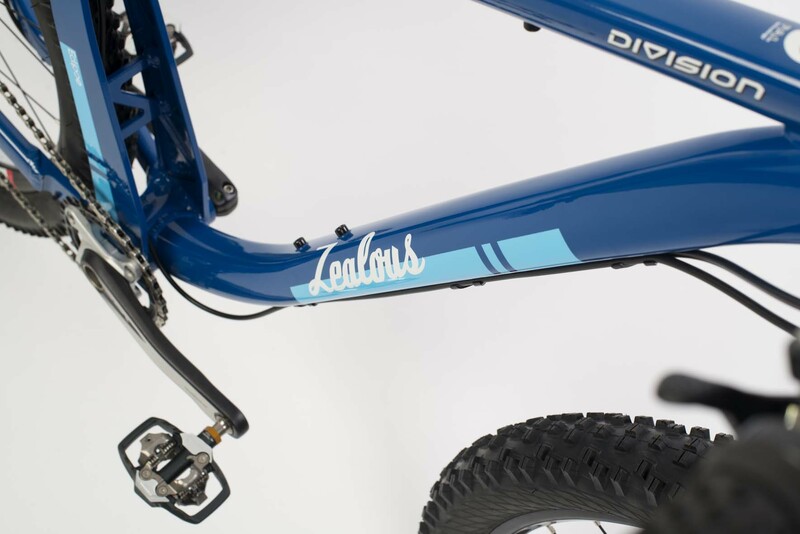 The Zealous Division is the bike that was waiting to happen! We’ve been riding 29ers since they first came on the scene around 2002, and we’re big fans of the monster-truck rolling ability of the bigger wheels – and they made a lot of sense for the type of all-round trail riding we were doing. There was a problem though – the handling wasn’t exactly as pin sharp as we were used to on our 26″ bikes. The development of equipment, especially forks, has made 29ers become way more established, but still no-one had managed to make the back end of the bikes short enough to encourage playful handling. Firstly, the front mech had to go. 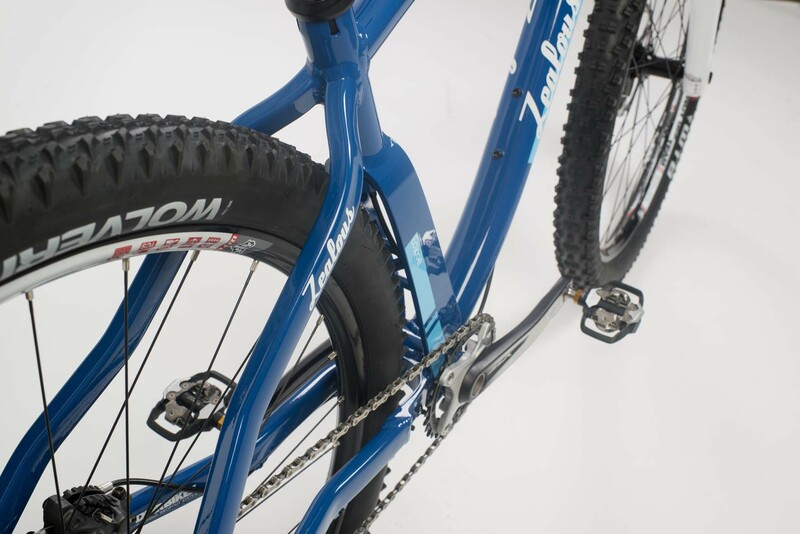 A lot of 29er frames out there now have the rear tyre painfully close to the front mech and this limits how short the rear wheel can be brought forward. With the emergence of 1 x 10 drivechains (and now 1 x 11) and the popularity of singlespeed 29ers, this seemed like a logical sacrifice, considering the benefits. Secondly, we didn’t want a seattube angle that was cranked outwards or offset (resulting in a super short toptube) to accommodate the rear wheel being brought forward – this enables a ‘proper’ seating position giving a neutral pedalling action – essential if this was to become the all-day-do-it-all bike we wanted. 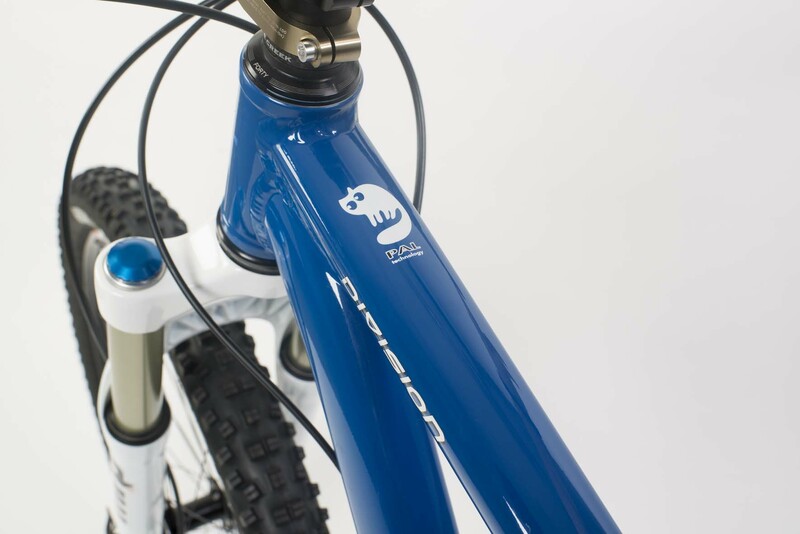 The solution is the unique, patent pending ‘Eclipse Seattube’ which allows the rear wheel to partially pass through it, reducing the chainstay length without altering the seattube angle or toptube length. We think this is such a good idea we have filed a patent for it! 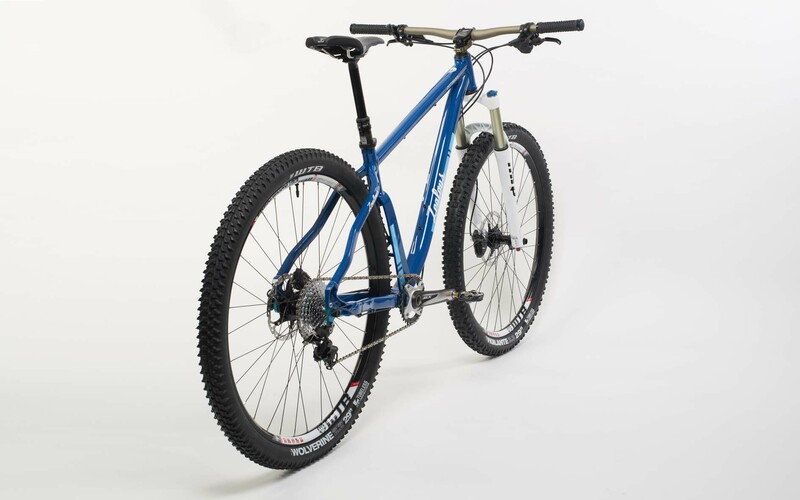 The result is a 29er frame that has sharp handling characteristics akin to those small wheel 26inch wheel bikes but with the added big wheel benefits. There are plenty of great 29er hardtails out there that are fast in a straight line, but what we tried to achieve with the design of the Division was a frame that was good in the corners and had some genuine all-mountain characteristics in its sturdy build. 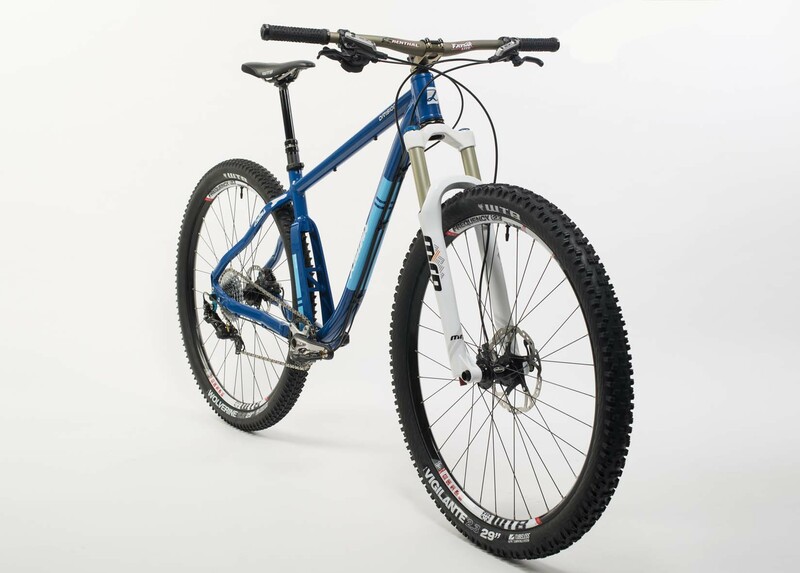 The Division is not an xc whippet, but a genuine trail bike for all occasions – all day comfort coupled with all mountain fun! Patent Pending ‘Eclipse’ split seat-tube design, allowing us to achieve one of the industry’s shortest 29er chainstay lengths at 415mm, coupled with a ‘normal’ seat tube angle. 31.6mm dropper post compatible, includes TT & DT hose routing and Reverb Stealth capability. Triple slotted clamp area to avoid point loading and give a more secure clamp force. Clearance for up to 29 x 2.4 tyres (tested with Maxxis Ardent 2.4) though we recommend 2.3 to be it’s ‘sweet spot’. 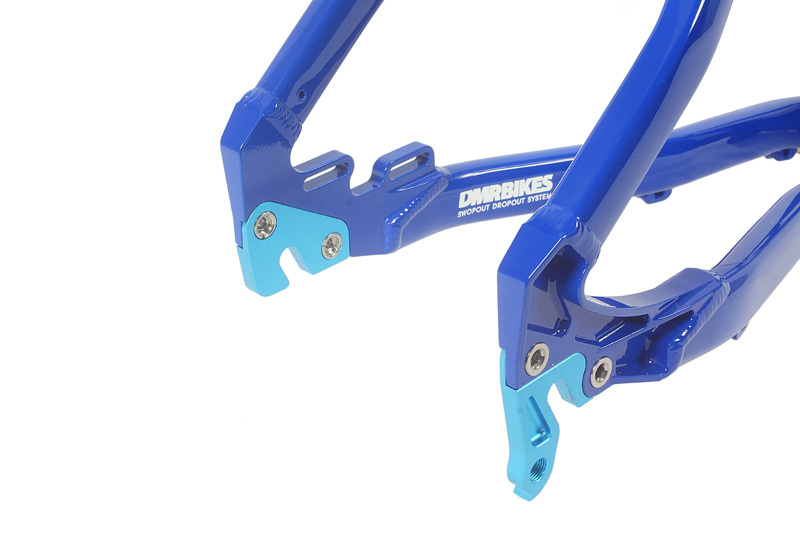 IS slotted rear disc mounts, mounted on the chainstay for maximum braking response and clean looks. CNC BB shell – Shimano PF BB91 – for super wide and stiff BB area. ISCG 05 chain guide mounts. 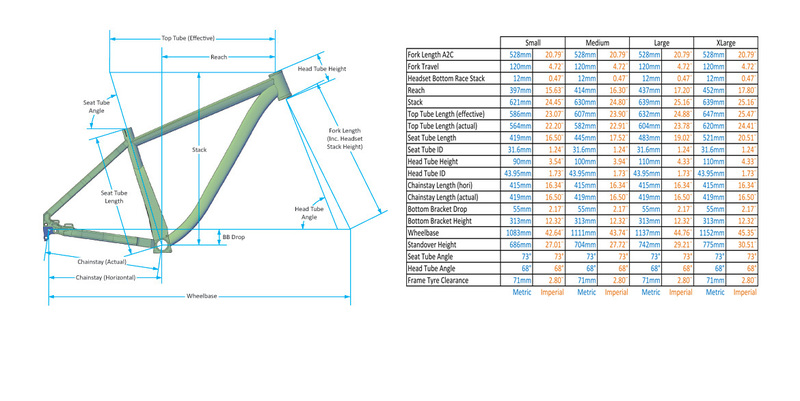 44mm Headtube gives the ability to run any type of fork steerer (tapered, 1 1/8″ or 1.5″), or an Angleset if you like. 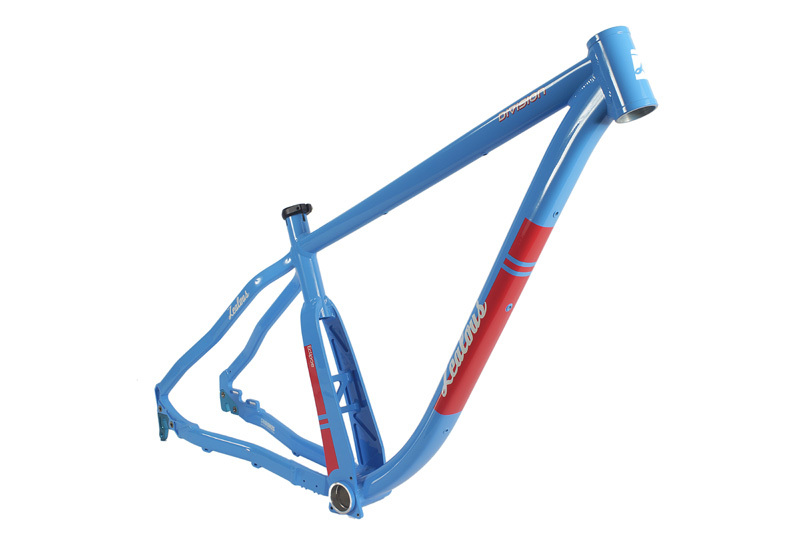 Designed for 110-130mm 29er forks. Running with a 120mm fork produces a 68 degree head angle. 2 year warranty and crash replacement scheme. 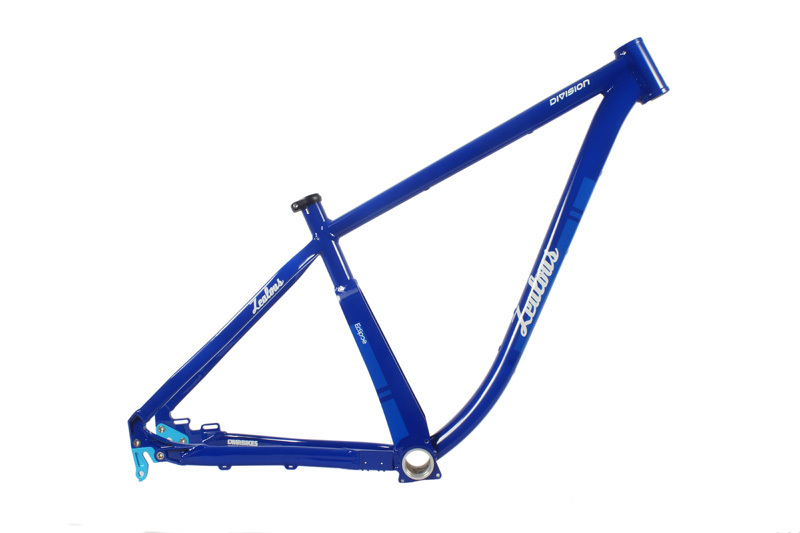 RRP £349.99 (includes seatclamp, hose/cable guide kit and 135mm QR dropouts).